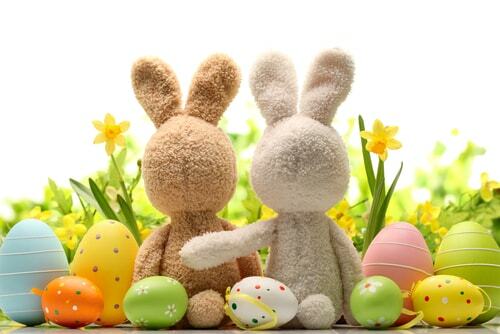 Easter should be one of the less expensive holidays to celebrate, but if you’re not careful, the cost of eggs, chocolate rabbits, decorations, baskets, and bunny costumes can add up faster than you realize. So how do you keep your Easter cheaper without skimping on the fun? It’s actually not that hard. 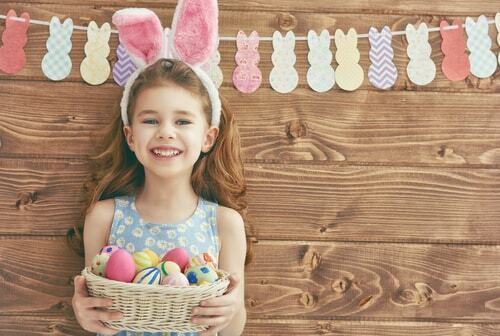 Here are a few simple ways to minimize the cost of your Easter festivities. Instead of using eggs that came from a real-life chicken during the Easter egg hunt, try using the plastic variety this year. Even after filling them with candy they’ll be cheaper than the real thing, and on top of that can be reused from year to year. They’ll also be a bigger hit because the overwhelming majority of kids will enjoy candy over hard-boiled eggs every time. Even a handful of colorful plastic decorations from your local party or dollar store can end up putting a dent in your budget. Instead of buying decorations, make your own with a few simple craft materials. A few festive favorites are popsicle stick rabbits, pastel paper eggs, and painted eggs. Handmade decorations give your celebration warmth and personality that store bought ones could never deliver. Like the above, there are a huge variety of homemade foods you can bake or cook for an Easter party. Pinterest is filled to the brim with recipes for cute snacks likes carrot cake cookies, rice krispie egg nests, Easter bunny bread bowls, and many more. Though they take a little more time to prepare than just grabbing premade snacks from your local store, they’re also vastly cheaper. Remember the movie Donnie Darko? A grown adult wearing a rabbit costume is unavoidably creepy. Steer clear of this one. If you absolutely have to for some reason, try renting one for the day instead of buying one outright. If you’re in the habit of buying wicker baskets and loading them up with goodies, there’s a couple of things you can do to minimize the cost. Instead of buying basket fillers at full price, drop by your local dollar store. The quality won’t be noticeably different and the savings will be substantial. Another tip is to make sure to hang on to the baskets from this year so you can reuse them next year. 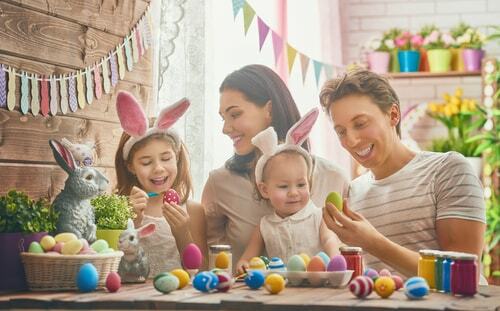 These are just a few ways you can cut costs of celebrating Easter without sacrificing the spirit of the season or the quality of your party. Easter shouldn’t be a holiday where you have to spend a lot of money to enjoy yourself and have a good time with your family. Follow these simple tips and you’ll be well on your way to achieving that. Having trouble making ends meet? A payday loan could be the answer you’re looking for. Payday loans are short-term loans that can net you up to $1,200 in cash in as little as 30 minutes. Just fill out the simple online request form and a payday loan representative will give you a prompt call to walk you through the simple approval process.